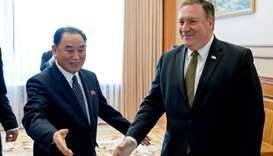 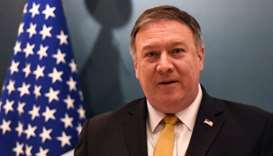 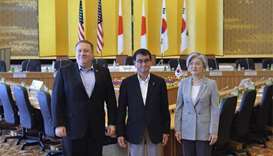 US Secretary of State Mike Pompeo brushed off North Korean accusations of "gangster-like" diplomacy during negotiations in Pyongyang. 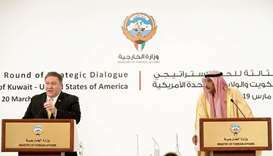 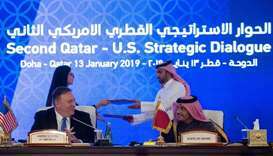 New US Secretary of State Mike Pompeo stressed the need for unity among Gulf allies during a brief visit to Riyadh on Sunday. 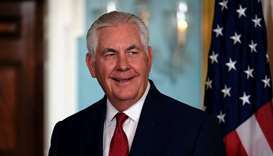 The Iraqi government dismissed a call from US Secretary of State Rex Tillerson for Iranian-backed paramilitary units that helped Baghdad defeat Islamic State and capture the Kurdish-held city of Kirkuk to end operations in Iraq. 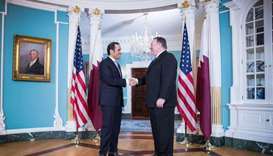 His Highness the Emir Sheikh Tamim bin Hamad al -Thani met with US Secretary of State Rex Tillerson and his accompanying delegation at Al Bahr Palace in Doha yesterday. 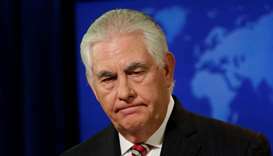 US Secretary of State Rex Tillerson has praised the role being played by Kuwait "to diplomatically seek a resolution" to the ongoing Gulf crisis, the Kuwait News Agency (KUNA) yesterday said. 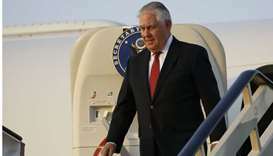 US Secretary of State Rex Tillerson said on Tuesday that Pakistan must adopt a different approach to terrorism and the United States will condition its support on Islamabad's delivering results in this area.